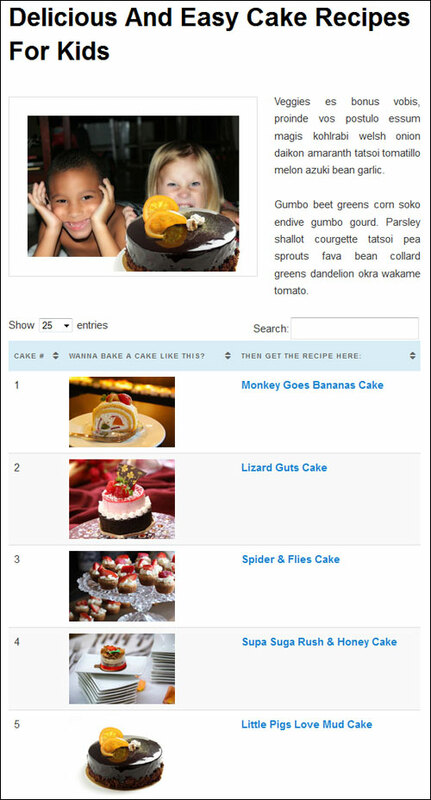 Being able to display tables on your website can be really handy. Tables are great for sorting and presenting data to visitors in a way that makes your information easier to understand. 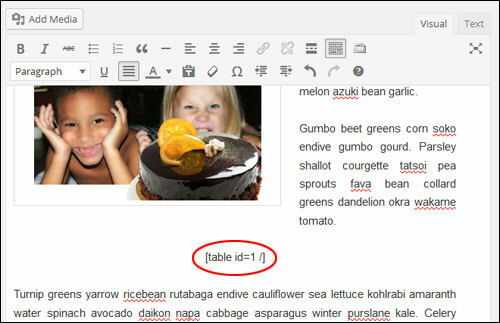 WordPress offers a feature-rich visual editor, but there are some things that the default editor doesn’t let you do, such as giving you the option to create tables without having to learn code. 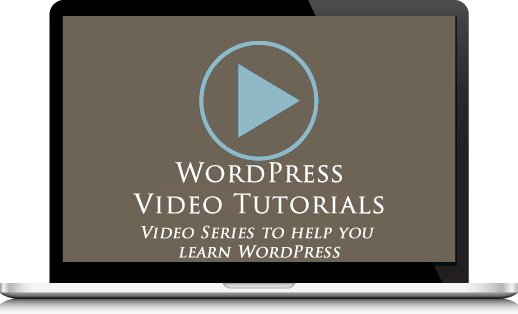 Although you can add tables manually to your content in WordPress if you know HTML (Hyper Text Markup Language) and CSS (Cascading Style Sheets), for many non-technical WordPress users, this is simply not a realistic option. 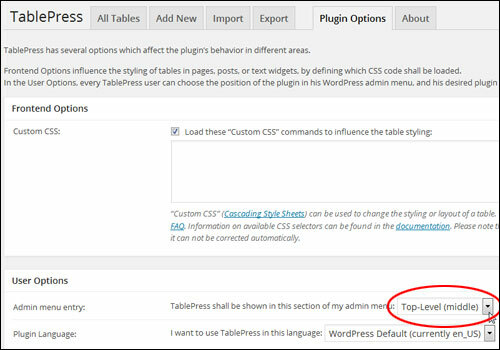 Fortunately, you can do just about anything you can imagine on a WordPress site with plugins, and creating tables is no exception. 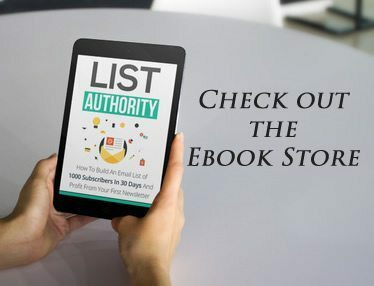 In this tutorial you will learn how to create and insert tables easily into your content without requiring knowledge of HTML or CSS or coding skills. 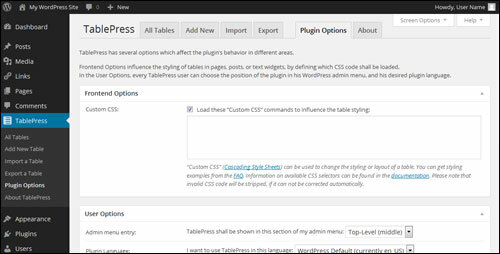 To add tables into your WordPress content without touching code, we’ll use a FREE WordPress plugin called TablePress. 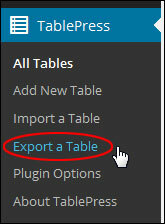 A very powerful and time-saving WordPress plugin for creating, editing and managing tables in WordPress is TablePress. TablePress requires no knowledge or skills coding HTML, CSS, etc. 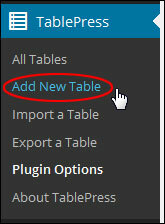 The plugin provides a simple user interface that allows you to easily edit your table data. You can add any kind of data, even formulas to tables. You can also import and export a table from/to CSV files (e.g. from Excel), HTML files, and JSON. TablePress was written and developed by Tobias Bäthge and is licensed as Free Software under GNU General Public License 2 (GPL 2). 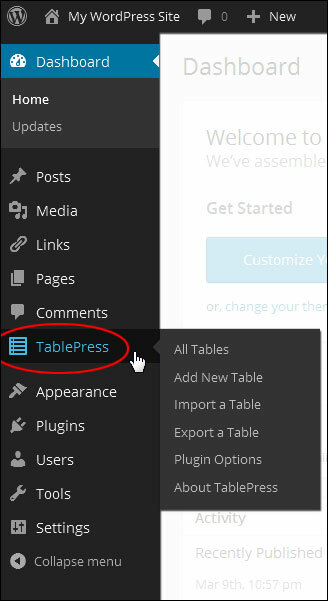 To create and add tables to WordPress, install and activate the TablePress plugin. 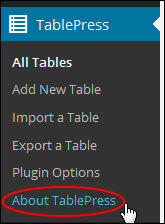 For example, in the “User Options” section, you can modify where the TablePress menu entry appears on your WP admin menu. You can also specify other settings in the “Plugin Options” tab, like table formatting styles, default language, and so on. If you don’t need to modify this section, just leave the default options. 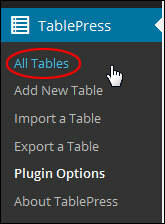 With TablePress, tables are created and formatted within the plugin screen. 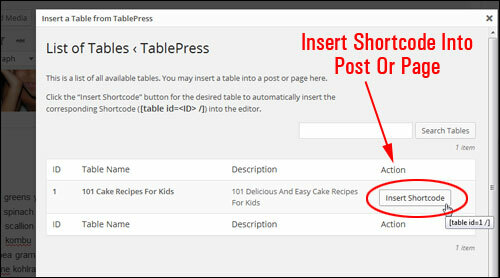 Tables are then inserted via a shortcode into your posts. Your table will then display or update after republishing or saving your post. 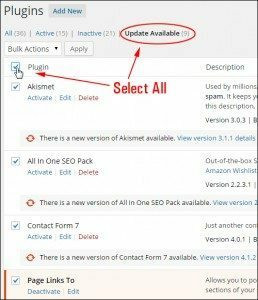 The benefit of working directly from the plugin is that you can easily update the data in your tables without having to open any of your posts. 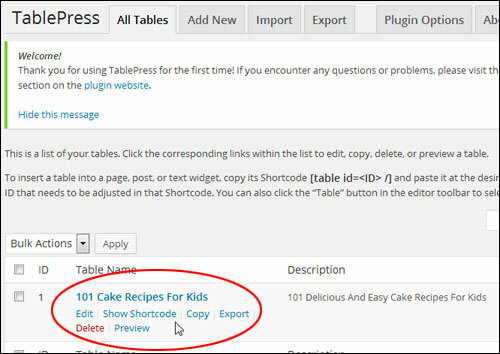 The plugin then updates all of your table information in all instances where the table has been added to your content. 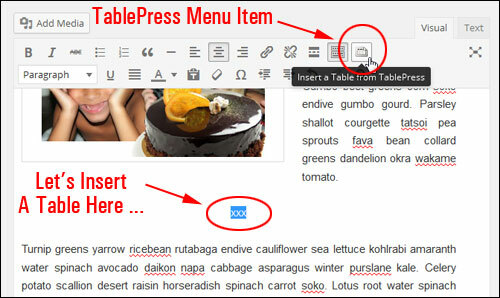 Once a new table has been created, adding content to your table is easy. 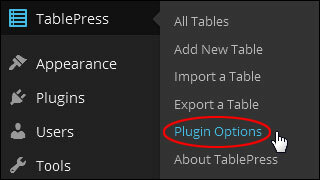 After your new table has been created, the plugin will display additional options for configuring your table. 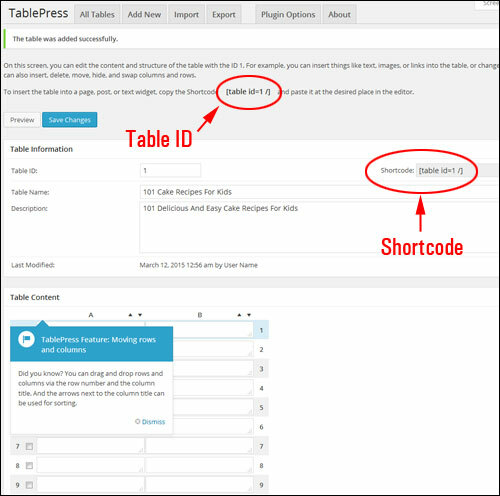 You can insert tables into your page content with a shortcode. 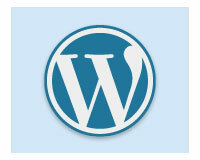 The plugin also adds a shortcode menu icon to your WordPress content editor. 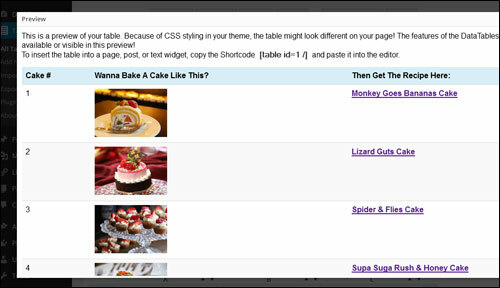 This allows you to easily insert tables into your posts and pages while working on your content. 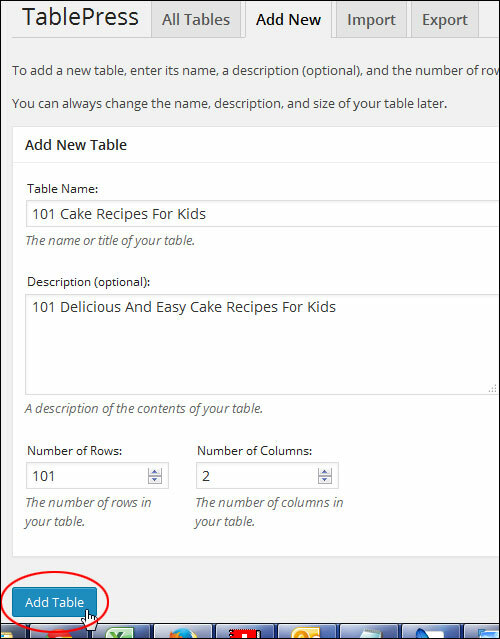 Clicking on the menu icon displays a list of your existing tables. As stated earlier, one of the great things about this plugin is that you can change data after publishing the table without having to open your post or page. 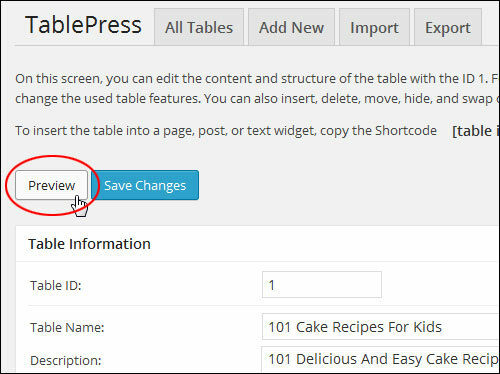 Edit the content in the plugin area, then save your new table settings and refresh your page to view the updated information. 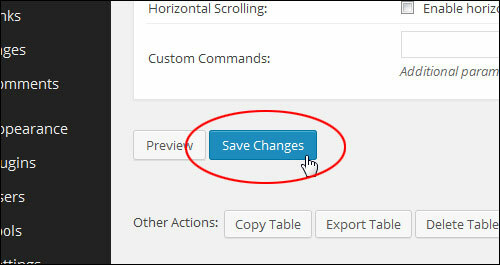 Another great time-saving feature of this plugin, is that if you plan to keep adding more data to an existing table, you can simply export your current table, then add new data, make changes, etc. You can then re-import your exported file with the news changes and your table content will be automatically updated throughout your site. 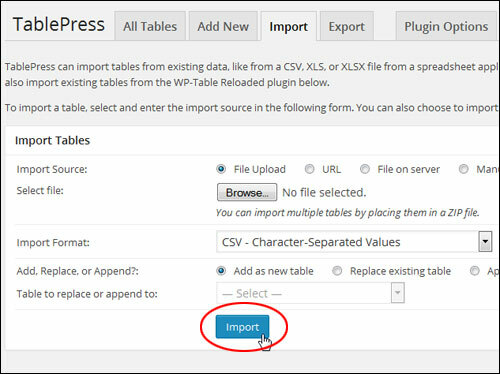 After editing and resaving the table file, you can then re-import the table into WordPress. 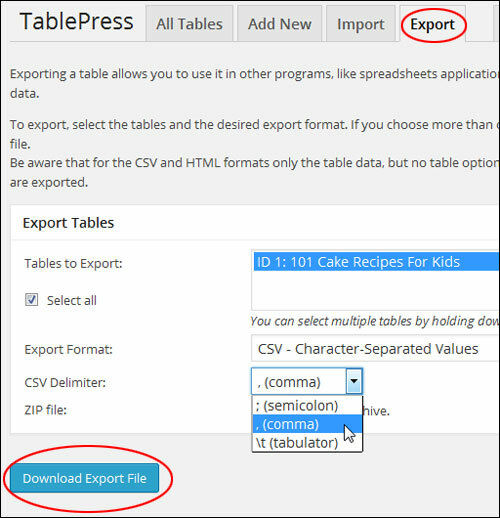 TablePress can import tables from existing data, such as CSV file data, from a spreadsheet application, an HTML file, or its own JSON format. 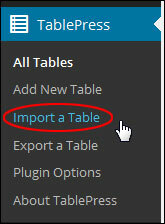 To import a table, select and enter the import source in the “Import Tables” area. You can also import multiple tables from a ZIP file and select whether to import tables as a new table or replace an existing table. As you can see, TablePress is quite a useful time saving free plugin will help you easily create and embed tables into your page content.